Bloomberg has reported that luxury and performance brands have seen a massive increase in sales between 2011 and 2016. In that time frame, the total sales of Bentley, Ferrari, Lamborghini, McLaren, and Rolls-Royce have increased 51 percent. In fact, in 2016, these companies have sold a total of more than 30,000 vehicles. The biggest winner of these brands is McLaren, starting with its MP4-12C in 2011 and expanding its line-up with quite a number of well-received models. Interestingly, the company's fast growth meant that is almost sells as many cars as Lamborghini which itself has seen sales grow by 116 percent. 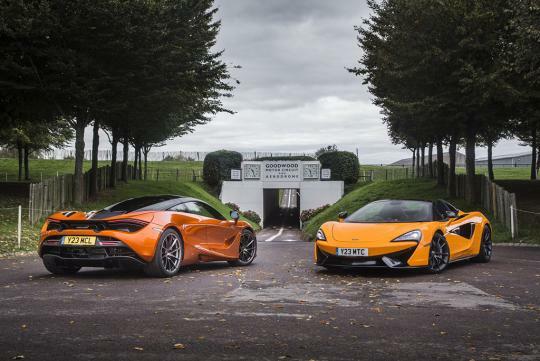 That said, McLaren expects sales to grow even further and is aiming to sell between 4,500 and 5,000 vehicles annually. They sold 3,286 cars last year. According to the publication, the increase in luxury and performance sales is due in large part to economic recovery following the "Great Recession" of 2009. It is estimated that 226,450 people with assets worth more than S$40 million have increased by 21 percent from 2012.